Stopping the Spinning: Therapy for Dizziness - Keystone Elder Law P.C. A conversation about falls would not be complete without mentioning the condition of dizziness. 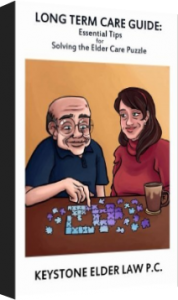 Dizzy is a term which is often used to describe a variety of sensations such as feeling dazed, light-headed, groggy, woozy, out-of-it, or that the room is spinning (vertigo). These sensations obviously increase the risk of falls. Dizziness may be attributed to a number of factors. Low blood pressure, dehydration, infection, low blood sugar or a side effect of medication are just a few of the possible treatable causes of dizziness. Dizziness may also be a symptom of a more serious neurological condition. If a physician cannot associate dizziness with a specific medical diagnosis, it may be due to an imbalance in the vestibular system. The vestibular organs are located in the inner ear, and they send signals to the brain to help identify motion, equilibrium, and spatial orientation (where the body is in relation to other objects in the environment). These signals combine with messages from the eyes and sensory nerves to help coordinate movement and balance. Feelings of dizziness and/or vertigo result when the brain receives conflicting messages; for example when an individual tries to read in a moving car. 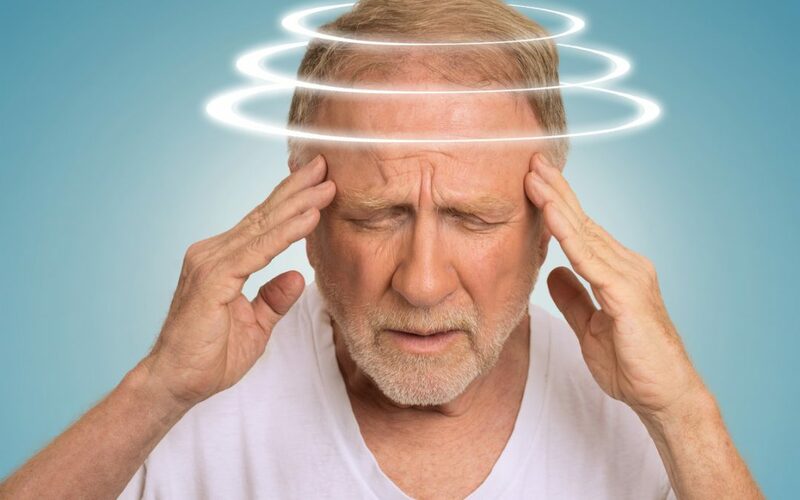 A common cause of dizziness in older adults is called BPPV, or benign paroxysmal positional vertigo. This condition occurs when crystals in the inner ear, which are attached to hair cells and function to alert the brain to movement and help regulate balance, are dislodged. Dislodgement may occur due to injury to the head/neck, the drying out of structures within the ear which occurs with aging, or unknown causes. Lack of use of the vestibular system, which is the result of older adults limiting their activities, also contributes to greater sensitivity to movement and symptoms of dizziness/vertigo. While popping a pill may seem like the easiest treatment for dizziness, when inner ear issues are the cause, medications only provide symptom relief and do not address the underlying reason for the symptoms. A specialized type of therapy called vestibular rehabilitation may provide more effective results. This type of therapy utilizes head, body, and eye exercises and positioning to move the crystals in the inner ear back into place, and retrain the brain to correctly recognize and process stimuli related to movement and balance. Vestibular rehabilitation is not difficult to provide, but it does require detailed technical knowledge. Jillian Orth, a physical therapist with Drayer Physical Therapy Institute in Mechanicsburg, has participated in training on the appropriate use of vestibular rehabilitation and has been treating patients with dizziness and vertigo issues for nine years. Jillian’s insight into early signs of a disruption in the vestibular system are a feeling of dizziness or vertigo when in a busy environment or when leaning one’s head back (which may be apparent when visiting the dentist or hair salon). One may even notice that seasonal allergies can create temporary symptoms. Often, individuals who experience dizziness begin to avoid activities which exacerbate the symptoms. This attempt at compensation affects quality of life, and can eventually lead to experiencing symptoms in other types of situations as well. Screening for vestibular dysfunction involves stimulating the vestibular system through different eye, head, and body positions/movements and monitoring the body’s responses. The identification of specific situations which trigger symptoms will determine the therapy techniques which are utilized. Since these techniques will incorporate movements or positions which cause symptoms, people who easily become motion sick may require anti-nausea medication prior to therapy sessions. Improvement in symptoms may require a few sessions to a few weeks of therapy. A physician’s order is required for evaluation and treatment, and insurance usually covers this type of rehabilitation. As with a physical injury, once a body system is compromised, a greater risk exists for symptoms to recur, so a home exercise program following formal therapy is recommended.